We have been so blessed by those who have donated to The Lord's Harvest in 2016! Don't forget that tomorrow has been designated "Giving Tuesday". We have seen many requests for individuals and corporations to consider giving to their favorite non-profit tomorrow. We would be honored if you would consider making a donation to The Lord'sHarvest this holiday season. You can do so on-line or by mailing a check! Please know that 100% of your donation goes to helping those who are hungry in Madison and surrounding counties in Western North Carolina. You can participate in Giving Tuesday by giving online! Sooooo thankful for the Mars Hill University Baseball Team and their Coaches! We are very thankful to the members of the Mars Hill University Baseball Team and their coaches for their help off-loading the food from MANNA and loading the boxes for our deliveries to Spring Creek and Spillcorn! We are so thankful for the sweet spirits and the hard work done by these young men; getting done in ten minutes what takes Bill and I over an hour! Super job guys!!! and Our most sincere thanks! Meet Two of Our New Bonner Scholar Volunteers! We are excited to introduce you to two of our Bonner Scholar Volunteers from Mars Hill University. Pictured above is Juanita Guzman, a Junior whose major is Business. She is from Avery County, NC. She is on the soccer team and is a leader in the Delta Zeta sorority. Juanita will be serving as our Volunteer Coordinator this year. We are excited to have her returning to volunteer with us! Shay Sargent, pictured below, hails from Raleigh, North Carolina. He is a sophomore at Mars Hill studying History. He is aspiring to be a teacher and has already done quiet a bit of teaching at his alma mater, at Southern Wake Academy, a Charter School in the Raleigh area. He is a member of the ultimate Freebie team at Mars Hill. We are super excited to have these two students as Volunteers along with two others students whom we will post pictures of very soon! Welcome to the "team"! 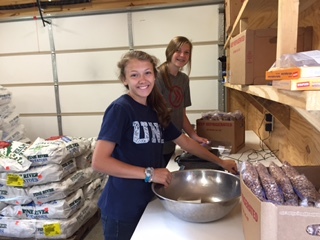 The Lord's Harvest was privileged to help First Baptist Church Webber City, Virginia pack potatoes, pinto beans and cornmeal at their Gate City campus on Thursday, August 25the for a Neighborhood Evangelism Event. 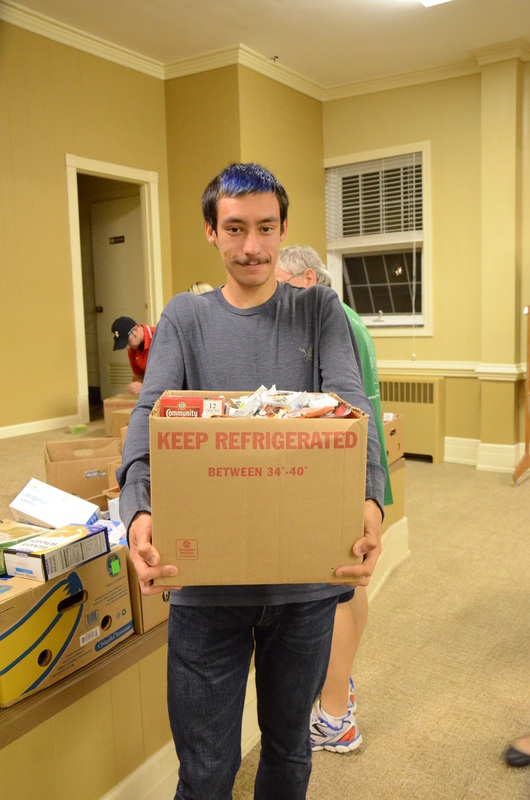 Approximately 75 members from both campus' came to prepare food boxes which were given out to people in the surrounding neighborhoods on Monday, August 29. It was our joy to minister with Pastor Morlock and the congregations of First Baptist Church Webber City, Virginia! The event was coordinated by our dear friend, Chad Williams. Our thanks to Gwen Bowles and her five grandchildren for helping us get ready for our packing party tonight. This hard working, fun loving group got out all the supplies for our packing party in a little over thirty minutes. We give thanks for this very kind offer of help that came just at the right time! God is sooooo good! Thank you Gwen, Tyson, Jade, Ky, T. J. and Brayden! 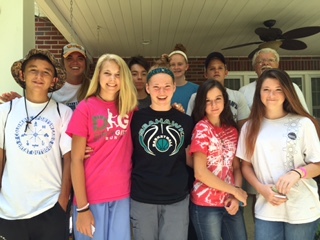 Canterbury United Methodist Church Middle Schoolers Provide Great Help! 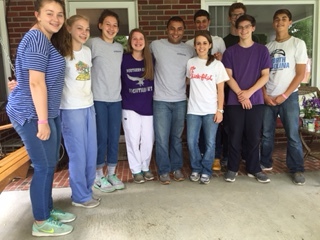 The Middle School Youth from Canterbury United Methodist Church came in July to help The Lord's Harvest. These eighth graders have been coming for three years and wanted to spend time, one last time, with "Farmer Bill". This group of students came the year of the record breaking rain and braved a muddy field wading in ankle deep mud to replant seed potatoes. What a blessing to have them with us again. We give thanks for friends like these who share their love and care with us! Wishing them all a great year as they enter High School. You all come back anytime! This week The Lord's Harvest was featured as WLOS "Persons of the Week"
MARS HILL, N.C. -- Our Persons of the Week are making a difference in the lives of hundreds of people every month. When you come to the home of Bill and Sharon Welsch, expect to be fed. It's homemade with hospitality and generosity the Welsches are known for. They call their program The Lord's Harvest. And the need is huge. 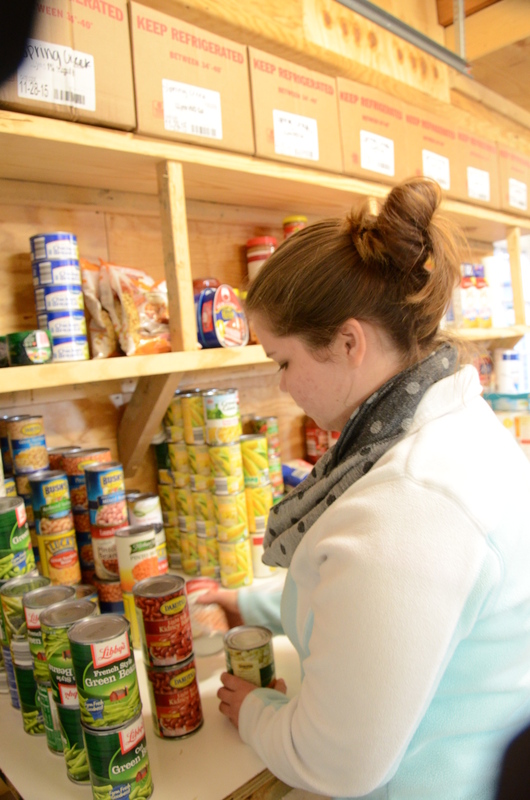 Madison County, where they live, is one of the most food-insecure places in the nation. They're helping people like Kristy Surrett. "It's embarrassing for a lot of people to say 'I need help.' Even with kids, to them it's like saying you're not making it as a parent," said Surrett. "We think of ourselves as the land of golden opportunity and this wonderful, dinner-bowl of the world, but there is hunger," said Sharon Welsch. The Welsches and their volunteers at Lord's Harvest grind away at hunger--with a 1925 corn grist mill. They make cornmeal and put it in baggies. 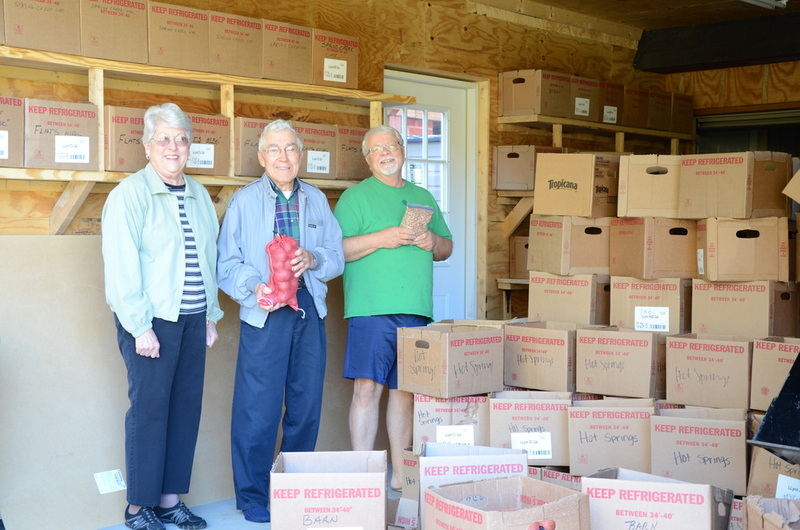 They take thousands of pounds of potatoes and beans bought with donations, and a lot of the Welsches own money, to distribute throughout Madison and Yancey counties, and beyond. They've reached as far as Ohio, Kentucky and western Virginia--and they have churches in Tennessee that help. They are able to reach hundreds of people each month, each with a unique story, and a common need. "It's something I feel really passionate about and was called to do," said Bill Welsch. It's compassion in action. "We like to give people hope," said Bill. They're giving more than hope. They're promoting the health of families in need. If you would like to help the Welsches or learn more about the Lord's Harvest, click here. We had a great group of young people last week from Westover Church in Greensboro. So thankful for their help and sweet spirits. Elmer goes to work grinding cornmeal! We welcome our newest addition - Elmer - a 1944 Ford Ferguson tractor in mint condition. Thank you to Gerald and Aaron Ball, brothers from Mars Hill, for their generosity in helping us acquire their father's tractor which is working like a dream grinding cornmeal. We are so thankful for yet another of God's wonderful blessings! 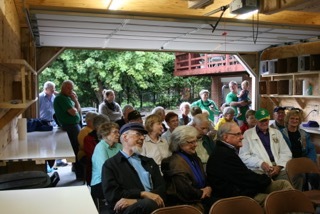 Girl Scout Troop 02713 visited with us this week to help us pack the trailer for a delivery and to pack potatoes. These young ladies, and their leadership, did a wonderful job! 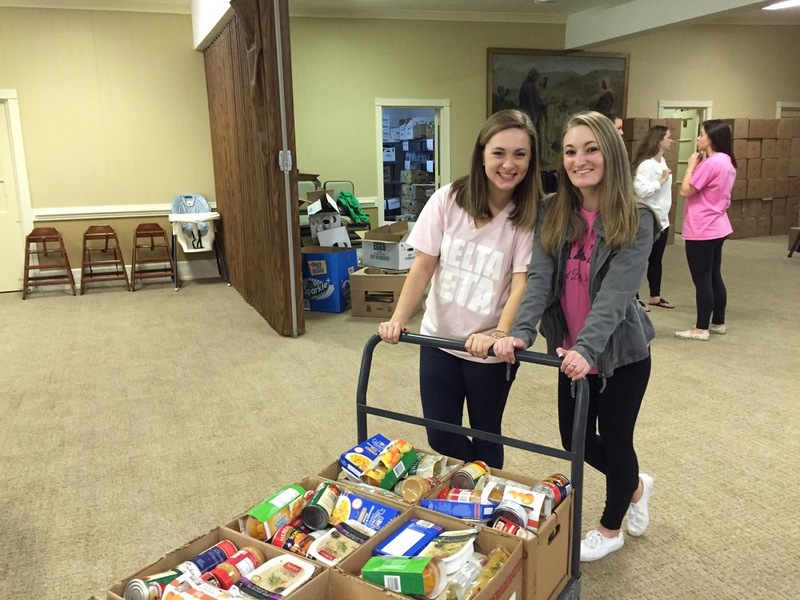 Thank you ladies for helping us prepare to feed the hungry! You were awesome! 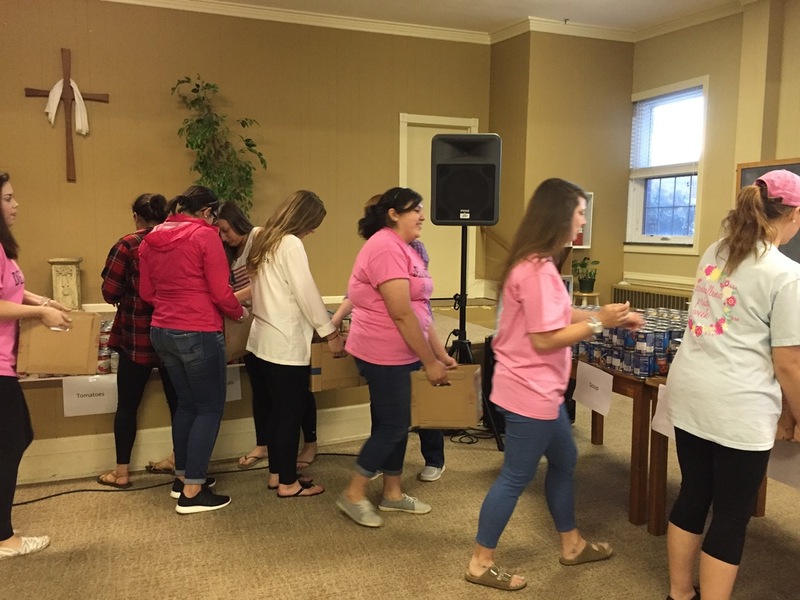 The Delta Zeta Sorority from Mars Hill University helped us pack 160 boxes on March 31 as a service project to the community. We are so appreciative of their help! They did an awesome job. One of our Bonner Scholars, Juanita Guzman, seen below pulling the cart, is a member of the sorority. "We think of ourselves as the land of golden opportunity and this wonderful dinner-bowl of the world, but there is hunger," said Sharon Welsch. The Welsches and their volunteers at Lord's Harvest grind away at hunger--with a 1925 grist mill. They make cornmeal and put in baggies. 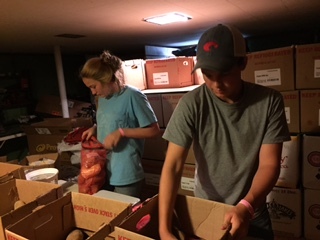 They take thousands of pounds of potatoes and pinto beans bought with donations, and a lot of the Welsches own money, to distribute throughout Madison and Yancey counties, and beyond. They've reached as far as Ohio, Kentucky and western Virginia--and they have churches in Tennessee they help. If you would like to help the Welsch's or learn more about the Lord's Harvest, click here. On Saturday, November 21, we loaded up the trailer to take it to Spillcorn. Due to the deluge the first weekend of November, we had to postpone the trip and after several attempts to reschedule with them (and uncooperative weather), we were finally able to make the trip this past Saturday. 148 boxes were packed for delivery, including the boxes from MANNA that had been packed the first week of November, enough meat for one per household, alongwith our boxes from The Lord's Harvest. Many happy people left with happy hearts on Saturday! This was particularly helpful to them as it was the weekend before Thanksgiving and for some, this was all the Thanksgiving meal they would have! Thank you to ALL of you who help us feed those who are hungry in Madison County. It is a blessing for us to serve with you! We pray you have a wonderful Thanksgiving. We give thanks for YOU! Our Bonner Scholars have been working really hard getting us ready for an epic week of delivery. We have made deliveries to Beacon of Hope, Neighbors in Need, New Victory Baptist Church Help Center, TouchPoint Ministries of Tri-Cities Baptist Church, Keystone Housing Ministry of Tri-Cities Baptist Church, the United Methodist Church of Spring Creek and Colvin Community Church of Spillcorn. 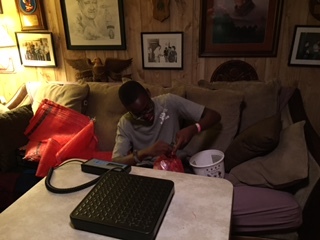 Thanks to Hunter Wallace who sorted canned goods to be given to Madison County residents who are serviced through our program called FARM (Feeding Aging Residents of Madison) as a part of Madison County Community Services. And thanks to Jenna Greene and Juanita Guzman who bagged cornmeal for the Spillcorn Community. All of these young ladies also bagged potatoes and pintos for our deliveries this week. We are thankful for our Bonner Scholars and the wonderful work they do. Giving thanks to God for allowing us to serve those who are in need. Bill and I talked today on one of our deliveries about how blessed we are to be able help. We are wishing all of our friends and family a Happy Thanksgiving! 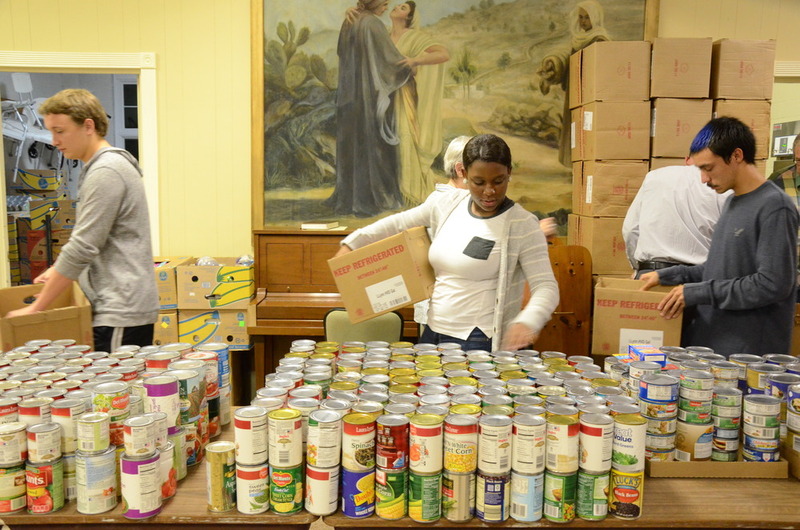 On Thursday, November 5, a small group gathered to help us pack 250 boxes which will be distributed throughout November to those who are hungry in Madison County. 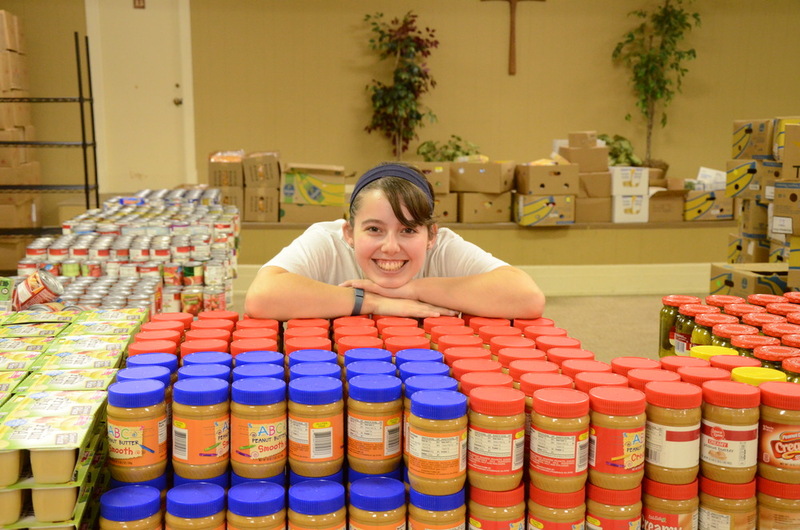 One of our Bonner Scholars, Caitlin Deaver worked diligently to get food ready for packing. Way to go, Caitlin! Young and old alike, packed together! And at the end of the night . . . Thank you to ALL who came out to pack including Bonner Scholars from Mars Hill University and several members of Mars Hill Baptist Church. You blessed us and you blessed those who will receive these boxes. 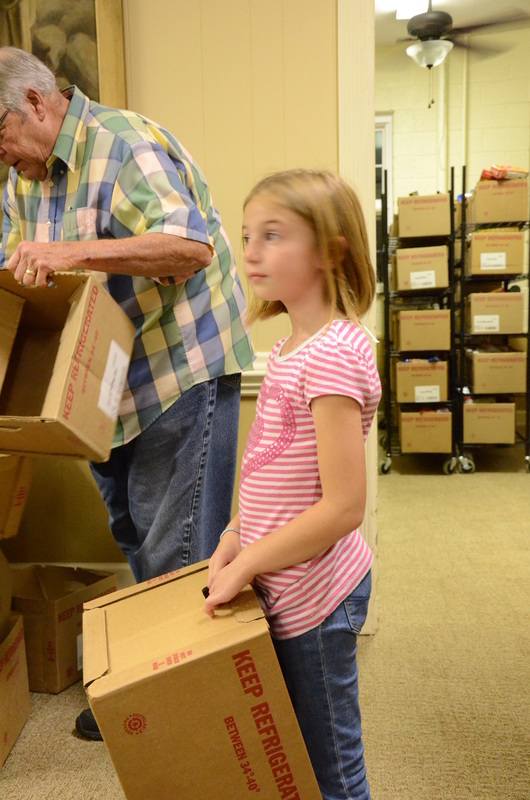 Last week, Sharon's dad and mom (Glenn and Eloise Howell) came to help The Lord's Harvest. Daddy bagged 7,700 pounds of potatoes, Mama put labels on 1,400 cornmeal and pinto bean bags and Bill moved 15,400 pounds of potatoes. As you can see, our barn is being put to really good use! We are ready for the month of November! 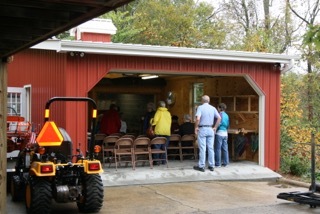 On October 11, 33 people gathered to help us dedicate our barn to the service of the Lord! Following the dedication, we enjoyed Brunswick Stew made by our dear friends, Kendall and Ginny Cumbee, home made, stone ground cornmeal cornbread, homemade Amish sourdough bread, Homemade brownies, and Pumpkin Triffle. It was a wonderful day and we were blessed to celebrate this special occasion with representatives from many of our Partner Agencies, Donors, The Lord's Harvest Board Members, our Pastor, Tommy Justus, and three (of our four) Bonner Scholars from Mars Hill University; all of whom are our dear friends! 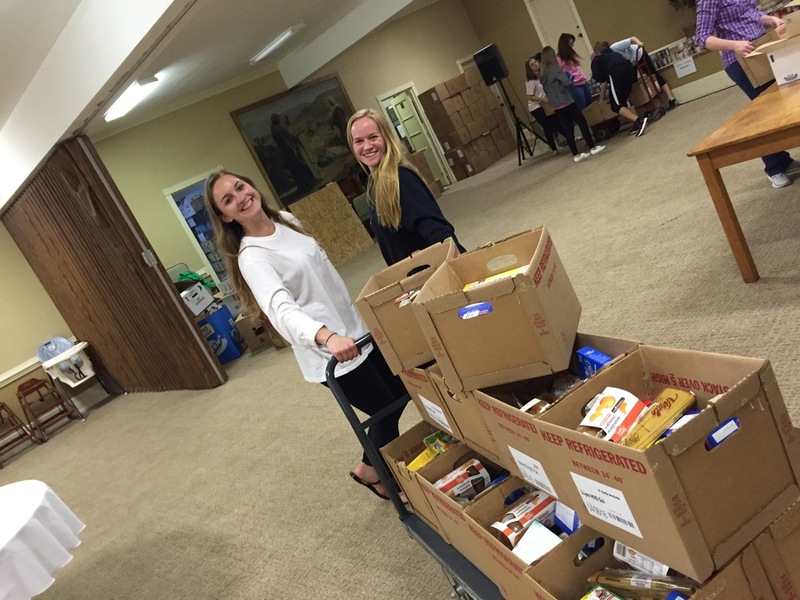 We would like to acknowledge Caitlin Deaver's HARD work in organizing the food items for packing the boxes. You may remember that Caitlin volunteered with us this summer as a part of the Bonner Scholarship Program at Mars Hill University. Even though she did not have to help us, when asked she agreed to put out the food in an organized manner :) to help us be ready to pack boxes on Thursday. Caitlin spent an entire day getting the tables ready! A huge shout out to Caitlin and her sweet spirit! We love YOU! <3 We could NOT have done it without you! Yesterday (August 6) we packed 250 boxes of staple food for distribution to the Spring Creek, Spillcorn and Ivy Ridge Communities with the help of two Mars Hill University Football players, Richard and E.J. and church member, Sybil. These folks did an EXCELLENT job and we are so thankful for their hard work (else we would have had to pack the boxes ALL by ourselves). Our thanks to each of them and to Coach Tim Clifton for sending us such gentlemanly, hardworking, and STRONG young men. It was a joy for us to get to know them better. Feeling very blessed and thankful!!!! Here are a few of the recipients of the 31 backpacks and school supplies delivered to the Spillcorn Community last Saturday. 20 backpacks with school supplies were delivered to the Spring Creek Community on Friday, July 31st. On Monday, August 3, 59 backpacks and school supplies will be delivered to the Ivy Ridge Housing Authority in Mars Hill. With School starting on August 17th, these young people are ready to start the new year with a new backpack and school supplies, something many of these families could not afford to provide for their children. What a blessing to see these happy faces as they modeled their new backpacks for us!